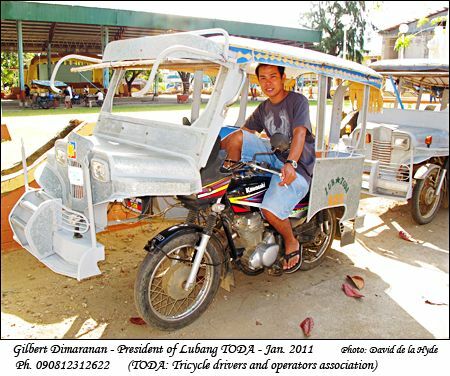 As an experiment I thought I would try putting some tricycle driverswith their mobile phone numbers (where available) on to a web page for Lubang to assist people looking for transport. 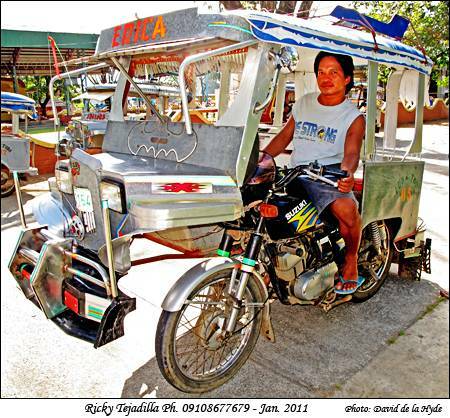 The selection of drivers is random - just those drivers parked near the Lubang Municipal Hall when I visited there. 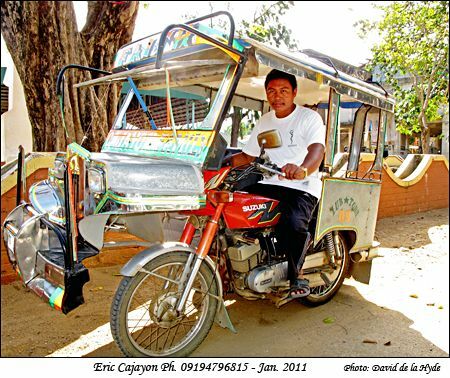 Even if this page does not achieve its objective at least it gives a random picture of drivers and vehicles at that particular time. 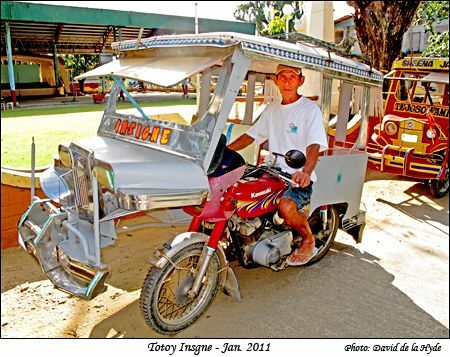 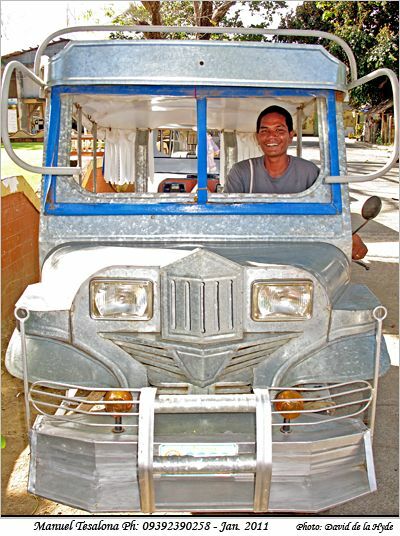 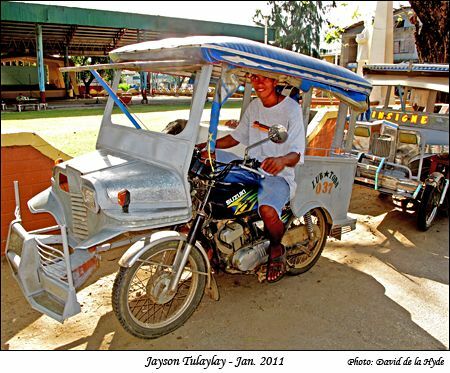 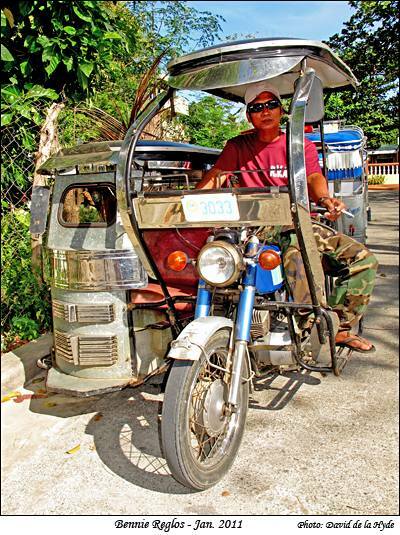 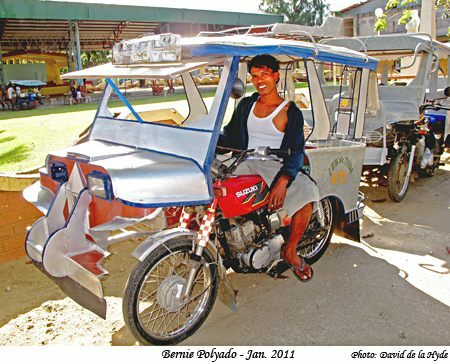 Because of the unique appearance of these tricycles they have described as 'Jeeplet' or 'Anak ng Jeep'. 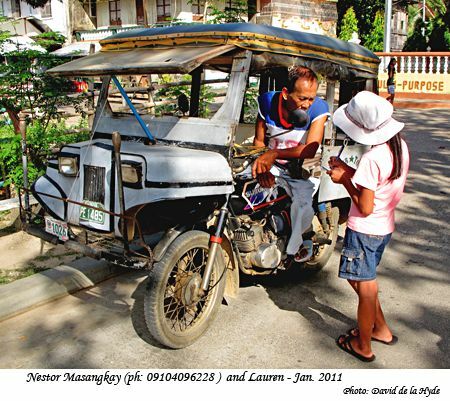 I asked Myrna's great-niece Lauren to accompany me to act as a temporary secretary to record drivers' names and telephone numbers. 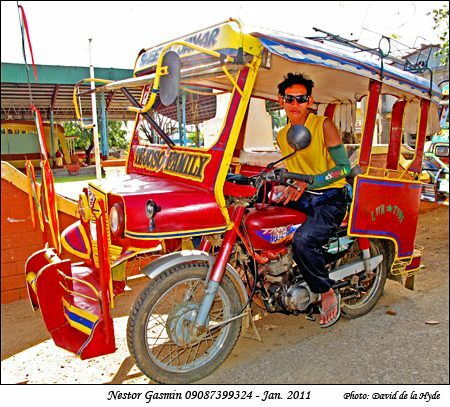 I think that the photos, names and telephone numbers are correctly associated with each other.